THIS CHARMING HOME IS ABSOLUTELY PERFECT! BEAUTIFUL WOOD LAMINATE FLOORING THROUGHOUT THE LIVING AREAS AND PLUSH CARPETING IN THE BEDROOMS. RECENTLY PAINTED AND SUPER CLEAN. ADDITIONAL DEN.PLAYROOM THAT COULD BE USED AS A 4TH BEDROOM. LARGE LOT SPRAWLING DOWN TO A BEAUTIFUL WATER VIEW. 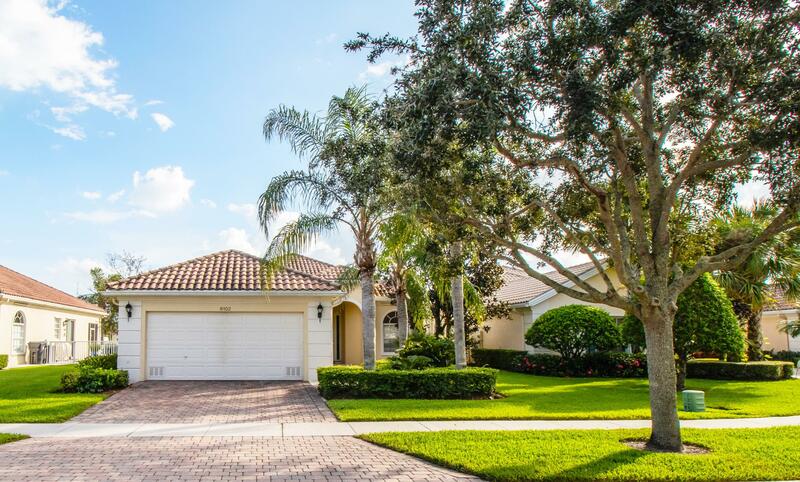 LOCATED IN A CUL DE SAC WITH EASY ACCESS TO THE CLUBHOUSE AND ALL THE MARVELOUS FACILITIES OFFERED IN THIS RESORT STYLE COMMUNITY. CLOSE TO THE FAMOUS WELLINGTON MALL AND GREAT SCHOOLS.